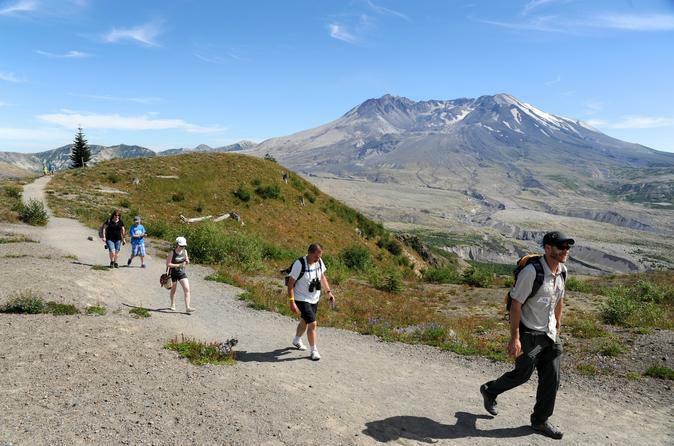 Traveling north into Washington from your location in Portland, a professional naturalist guide will take you to Mount St Helens National Volcanic Monument in a luxury Mercedes van. You’ll visit locations surrounding the blast zone from the 1980 explosion before arriving at Mount St. Helens. As you drive along Spirit Lake Highway, you’ll stop by Ape Cave, and may take a peaceful walk along the Hummocks Trail or pause to reflect alongside the blue waters of Coldwater Lake. After enjoying a picnic lunch, you’ll arrive at the Johnston Ridge Observatory to embark on an interpretive walk along the Eruption Trail. The trail offers sweeping views into the crater, and teems with purple lupine and other wildflowers in the mid-to-late summer.